The constant cold and snow have famously taken their toll on the good citizens. 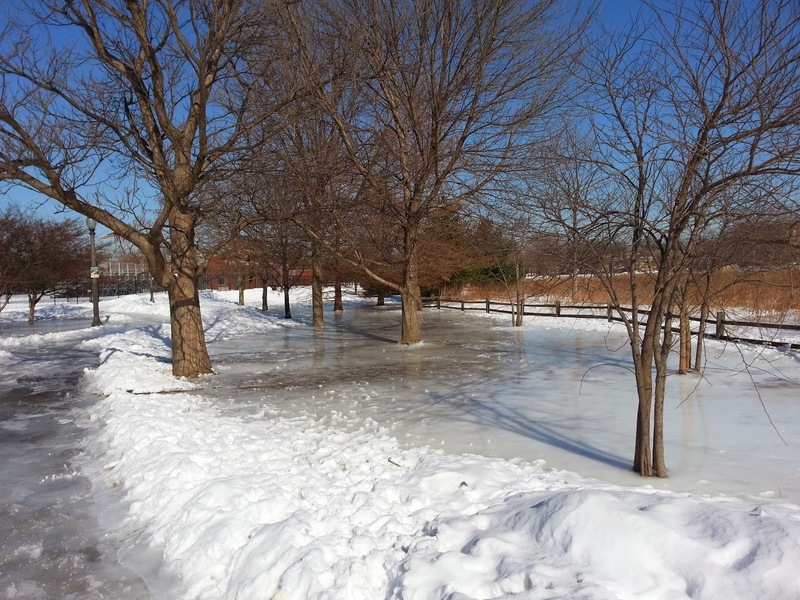 The weather has affected our travel, exercise, cars, parking, houses, social activity, habits... and of course PIPES! 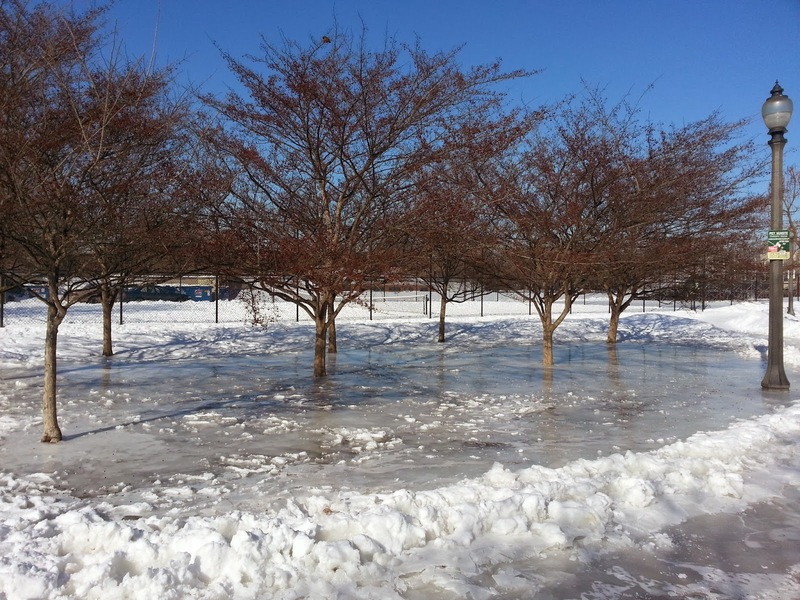 Now even Winnemac Park has burst a hydrant creating a "On Frozen Pond" in the center of the park. 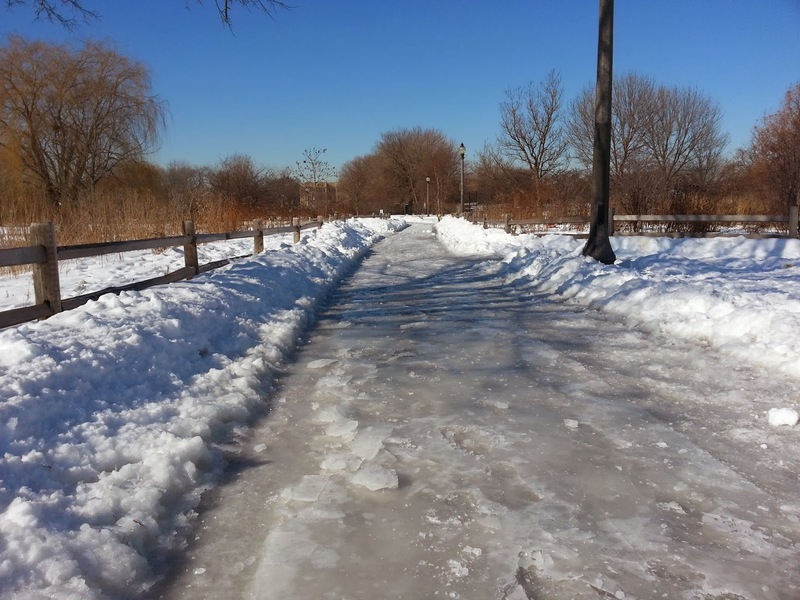 The center paths of Winnemac Park are a sheet of ice after a hydrants burst in the cold.